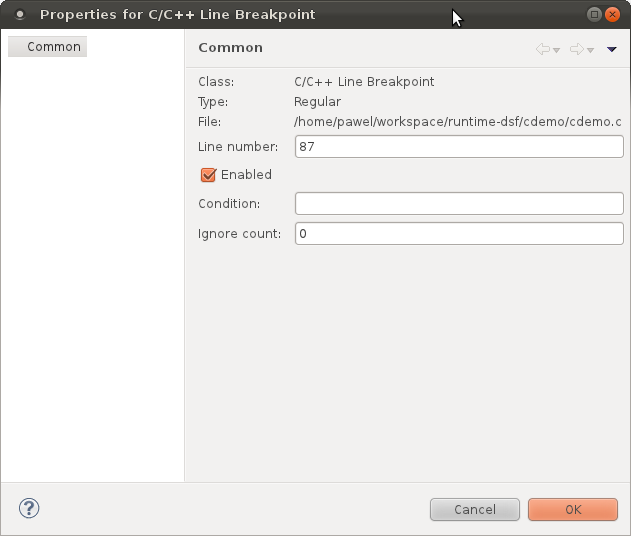 Breakpoint Properties dialog for adding a new line breakpoint. current 12:38, 19 March 2012 631 × 536 (27 KB) Pawel.piech.windriver.com (Talk | contribs) CDT 8.1 New and Noteworthy Breakpoint Properties dialog for adding a new line breakpoint. This page was last modified 12:38, 19 March 2012 by Pawel Piech.